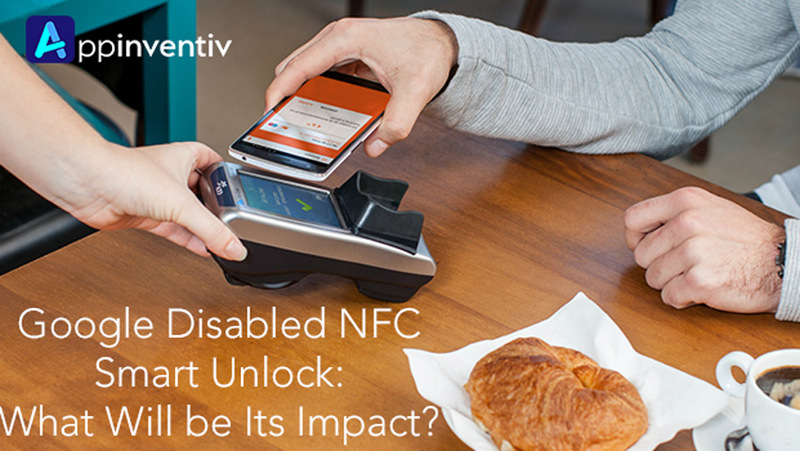 Google disabled NFC smart unlock: what will be its impact? In the last few days, we have seen various highs and lows in the tech world. On one side, the launch of Android Oreo and iOS 11 has taken us on Cloud nine. While on the other side, the headlines like ‘Google secretly killed NFC Smart Unlock for Android’ left us with a broken heart. The elimination of NFC (Near-Field Communicationz) feature emerged as a shock for Android users, as no prior information was provided by the tech giant, Google. The users were constantly trying to use this exciting feature but were failing all the time. After several complaints from users reached Google’s engineering team, a Google employee revealed that the NFC smart unlock feature has been removed. He further added that anyone who set up a Google account after August will not have access to this feature. In addition to this, if someone has access to smart unlock, they should refrain updating his device or sign out. Though it was not a major feature, many Android device users are unhappy with this action and are not ready to take this situation lightly. If this question is constantly hitting your head why users are so affected by this act, let’s have a look at what NFC technology is, how users were using it, and why Google excluded it. And this way, figure out what will be the outcome. NFC is a set of short-range wireless technologies that allow an exchange of data between an NFC tag and an Android device, or between two Android devices. This RFID (Radio Frequency Identification) based technology is somewhat like Bluetooth technology. However, Bluetooth allows communication up to a distance of 50m, while the NFC is restricted to a distance of 4cm. In addition to this, NFC operates at a much lower frequency, uses less power and renders instant pairing with the other NFC readable device. According to a research, one can avail the NFC features only when having an NFC chip in one’s mobile device. Also, since it works in close proximity only; it is much safer from third-party attacks than other wireless communications. The NFC Smart Unlock feature allowed users to easily unlock their nearby Android smartphone or tablet with an item, like an NFC ring/bracelet or an NFC- powered token/card. According to a source, various people were relying on this technology to allow other people to unlock and use their phone in their absence. It has been effectively used in various areas, from transportation to medicine and jewelry. People used the NFC rings as a medium to unlock their phone easily as well as ornaments to complement their personalities. Google has chopped the NFC Smart Unlock feature uninformed, but a few days back it disclosed that they have analyzed this unlock method on the basis of multiple factors, including usage, customer feedback, availability of alternative and so on. With the insights gained, they found an extremely low usage of this feature. Simultaneously, they discovered that the alternatives available are secure, easier to use and have wider adoption. So, with the motive to provide a better experience to Android users in terms of simplicity, security as well as convenience, they decided to disable NFC unlock. This feature enables you to keep your phone unlock at particular places. For example, if you have declared your home as a trusted place, your Android phone will remain unlocked for the time you are there. Since, anyone can use your phone to access messages, photos or perform any task while it is unlocked, the user must assign ‘trusted places’ value only those places where you are comfortable to have your device without any password. Making your workplace as a trusted place is not a good idea as someone can misuse your content. With this feature, you can assign a Bluetooth accessory as a trusted source. Consequently, the device will get the authority to keep your phone unlocked as long as it is connected. According to our tech geeks, this feature can be used in the situations of pairing your Android smartphone with your smartwatch or Car’s Bluetooth connection. Adding a trusted face is yet another option for unlocking your Android smartphone. With this feature, the Android OS will use the facial recognition technology to trace and compare the faces with those assigned as a trusted one. For this, the device uses the front camera and once the face matches, the device is unlocked. However, this process is so slow that you might find unlocking device by password/pattern as more comfortable. Apart from the above three unlocking techniques, you can also unlock your phone with On-body detection option. This feature uses the motion sensors to determine when to lock/unlock your phone. It means that if your phone is in your hand, pocket or purse, it will remain unlocked. Whereas, it will be re-locked as soon as you stop moving or place it on a stationary object. This is an exciting security feature for users, but one drawback of this feature is that it cannot distinguish between you and other, which means the phone will remain unlocked even if you lend it someone else or it gets stolen. As already mentioned, various people were employing NFC Smart Unlock technology to empower others to unlock and use their device even in their absence, now they have to turn towards other technologies. This might seem annoying in the beginning but is supposed to be fine once the users will get comfortable with the change. Besides this, various manufacturers were employing this technology as the selling point for their devices, including the Big G for the Nexus and the Pixel, and Sony for its Xperia Z21. Eradication of this feature might affect their sales unless they come up with a better marketing strategy at a faster pace. Regardless of the outburst, it is for sure that this is the end of the NFC Smart Unlock feature on Android devices since Google has said that it will have no further fix or comment on this matter. So, it is wise to adopt the other available technologies as soon as possible and explore newer possibilities.